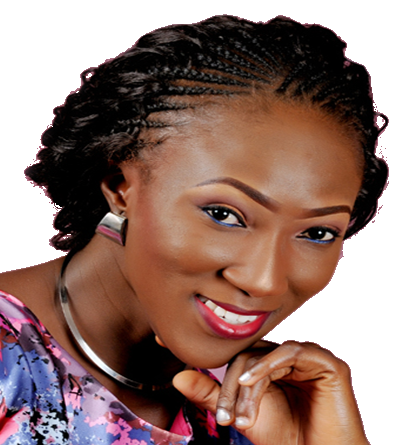 Reading Tosin Babalola THE PREVAILING WORD column in issue_13 titled Rapture! Are You Born Again? Rapture! Are You Born Again? 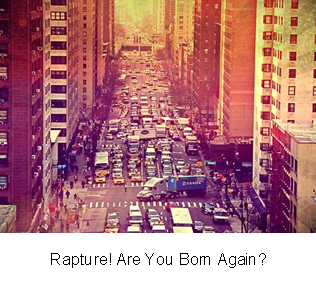 Rapture is true but have we ever wondered how real it will be? Imagine the pilot in a flying aircraft disappears, drivers in moving vehicles, trains and ships vanish, surgeons evaporate in the middle of crucial sessions and their ward coats fall to the ground like pack of cards, guards of prison doors disappear, keys and chains dropping on the ground so loudly and more. Imagine the chaos, people running around and confused, suddenly realizing that they have been LEFT BEHIND. Definitely, there will be blackout, electricity will cease and then looting with everyone trying to gather as much food that can last a life time (if that is possible). Government will not be able to help; it will be nobody’s duty/responsibility to save another person. The tribulation will be so intense; there will be wars and natural disasters. My thoughts went on and on and on, then i thought to ask you again, are you Born Again? If you are not, please receive Jesus Christ as your Lord and Savour; accept that He died to take away your sins and that He rose again so that you will have eternal life. Just believe it in your heart and confess it with your mouth and that will be all. You say Tosin, are you preaching? Please we are talking about a devastating damnation that is about to come upon humanity, especially as we approach the end of days. ES (Eternal Security) or no ES, just get them saved first. Almost every preacher preaches Eternal Security (Salvation); somehow they get to wrap it up in a theme - for some preachers the theme is ‘We are the RIGHTEOUSNESS of God’ while for others the theme is ‘Love’ or ‘Prosperity’ or ‘Healing Power’ ‘Renewal of the mind’ . Anyhow they choose to say it, ES is embedded somewhere in it. ONLY Christians will be raptured. Are you one?